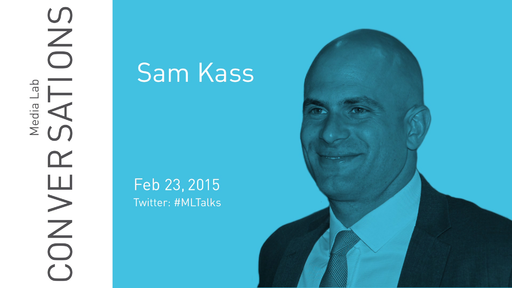 Sam Kass is a Chicago native and college athlete, played baseball for the University of Chicago, and graduated with a degree in U.S. history. In 2009, newly elected President Obama asked Kass to move from Chicago to the White House in order to continue his work as personal chef to the Obama family, an appointment Kass had held since January of 2006, as well as to work on food and nutrition policy. During his tenure at the White House, Kass took on several additional initiatives, including roles as executive director of First Lady Michelle Obama’s “Let’s Move!” campaign (2013–2014) and senior White House policy advisor for nutrition policy (2010–2014). In these capacities, Kass worked with both Congress and the private sector to shape strategic policies and launch a global discussion around nutrition and wellness. From planting the White House Garden and brewing the first White House beer to developing national marketing campaigns around healthier eating, his work has had a tremendous impact on food, politics, and culture. In 2011, Fast Company named Kass to their list of 100 Most Creative People, and in 2012, Kass was named to the inaugural class of chefs in the American Chef Corps, which is dedicated to promoting diplomacy through culinary initiatives. During his tenure, Kass created one of the most successful branded initiatives to come out of the Obama Administration.